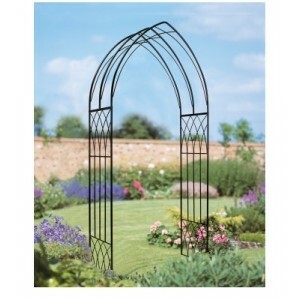 Whether you are looking for a support for a climbing plant or simply to add a feature to your garden, we have a selection of garden arches available in either pressure treated wood or wrought iron. Whatever your style, we have an arch that will fit perfectly with your garden design from traditional rose arches to contemporary arches all with free home delivery. This charming Arcadia Arch from Poppy Forge has a simplistic design, which is certain to complement .. The Atlas Arch from Storemore makes a fantastic focal point and is ideal for decorating entryways or.. 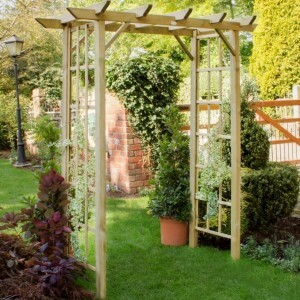 The Berkley Arch from Forest is a top quality traditional square garden arch made using decorativ.. This striking Buckingham Arch by Poppy Forge is a beautifully formed arch, perfect for framing pathw.. 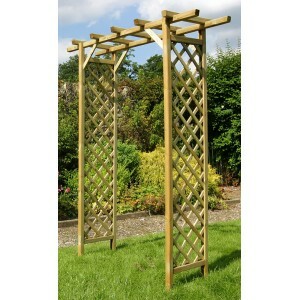 The Classic Arch from Forest is a top quality traditional flat top pergola style arch made using .. 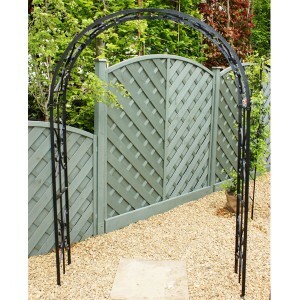 The Easy Garden Arch is a quick and easy way to install a low cost arch suitable for supporting c.. 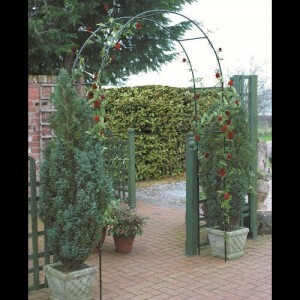 The Florence Arch from Forest is a top quality garden arch which features a curved and notched ra.. 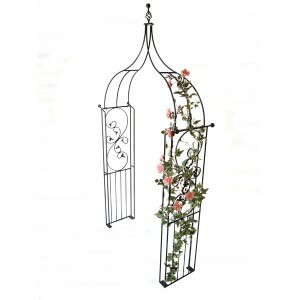 The British made Flower Ogee Arch by Poppy Forge is an eloquent garden structure with a gothic feel .. 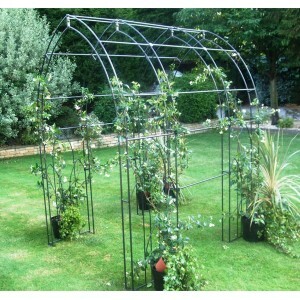 The British made Flower Traditional Arch by Poppy Forge is an eloquent garden structure, simplistic .. 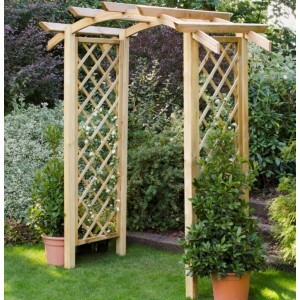 The Forest Rose Arch is a traditional rustic arch which has chunky lattice sides and roof which p.. 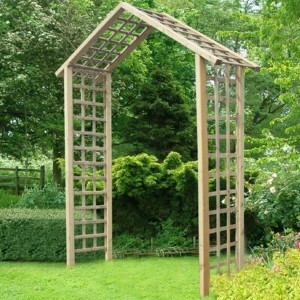 The Genoa Arch from Forest is a top quality traditional curved top pergola style arch made using .. This beautiful Gothic Arch from Poppy Forge has an attractive and traditional design, which is certa.. 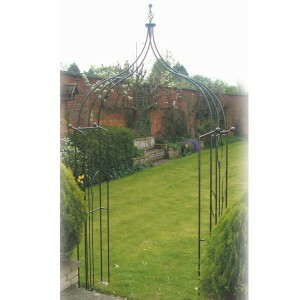 The Gothic Rose Arch is a timeless classic that provides an elegant and stylish framework for you.. This striking Gothic Tunnel by Poppy Forge is a beautifully formed tunnel, perfect for framing pathw.. 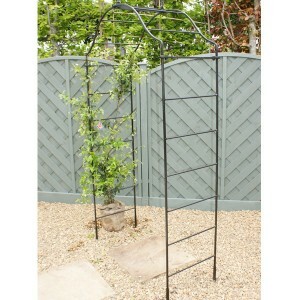 The British made Imperial Ogee Arch by Poppy Forge is an eloquent garden structure, simplistic in it.. 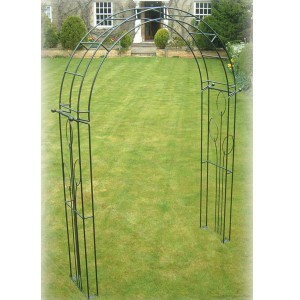 This Imperial Traditional Arch by Poppy Forge is a beautifully formed arch, simplistic in its design.. This charming Monet Arch from Poppy Forge has a simplistic design, which is certain to complement al.. The Moonlight Arch by Zest is beautifully designed and is guaranteed to add interest to your outdoor.. This gorgeous Oregon Arch from Poppy Forge has an attractive lattice design on the side panels and o.. 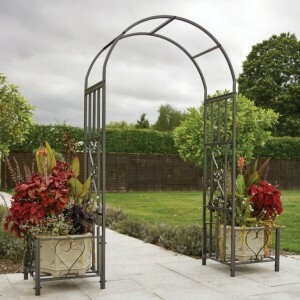 The Ornamental Arch with Planters helps create an ornate walkway in your garden. With the pl.. 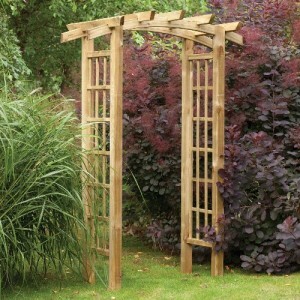 The Rustic Arch by Zest offers a stunningly decorative focal point for any garden. The trellis detai.. 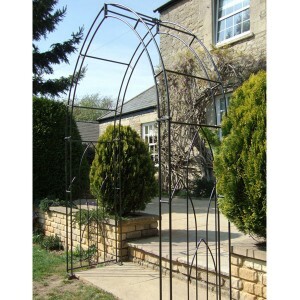 The Ryeford Arch from Forest is a top quality garden arch with a pagoda style roof which creates .. 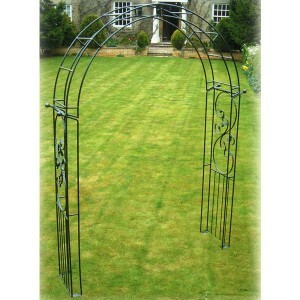 The traditional design of the Sunset Arch will give your garden that classic feel, with diamond t.. The Twilight Arch by Zest is beautifully designed and is guaranteed to add interest to your outdoor ..